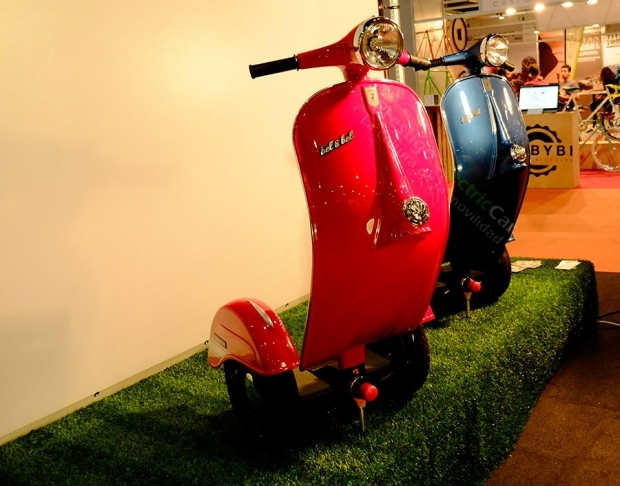 This very special scooter, exposed at UNIbike 2015, is only for the finest taste. The start-up Bel&Bel from Catalonia (Spain), a design studio, modified a Ninemot unipersonal scooter to give him a more retrolook, like a Vespa. Con can order this scooter in any colour as it is handmade by the company. For electronics and mechanics we will count on the world’s leading brand NineBot®. For this reason Zero Scooter is the best product in electronic and technologic parts too. Zero Scooter is a “conversion kit” and we also offer the possibility to acquire the entire product (NineBot + kit) or just the kit to adapt to your base NineBot model (model integrity and technical features will not be modified as result of the application of this kit. The final consumer retains all rights and officially guaranteed by the provider). We believe that with this product EVs will get closer to an audience that until now considered these objects away from their reality and it will bring a fresh feel to this retro design piece but with top technology.